Jarrod Wallace was off the pace in Origin I. 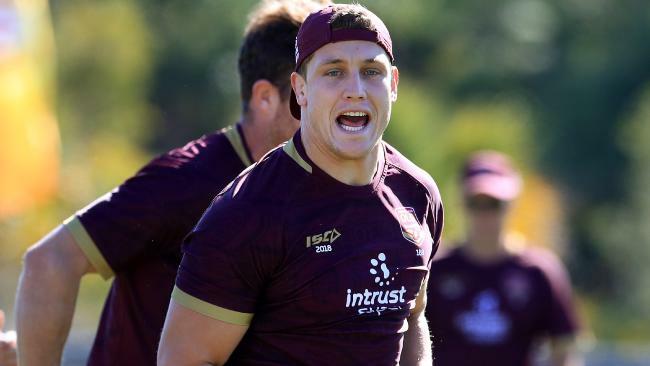 THE heat is on Jarrod Wallace to step up after Queensland gave the maligned prop a "second chance" in Sunday's must win State of Origin game two in Sydney. Gold Coast forward Wallace came under fire after an underwhelming display in the Maroons' 22-12 game one loss in Melbourne, registering just 43m from five runs according to NRL.com. There was speculation Wallace would even be axed from a rejigged Maroons pack with Melbourne's Tim Glasby and Brisbane's Joe Ofahengaue knocking on the door. Selectors kept the faith when they named Wallace in the Maroons' 18-strong game two squad on Monday. However, it came with a warning. "Jarrod has a second chance," Maroons selectors' boss Gene Miles said. "We all know what his (game one) stats were, it's not ideal. We expect a lot more from our front-rowers. "I said before game one if our front-rowers don't play well we don't win and that certainly hasn't changed." Miles hoped Wallace responded in game two just like he did in the Titans' match two days after the Gold Coast prop's Origin I fizzer. Spurred on by his Origin frustration, Wallace ran 168m and made 40 tackles in the Titans' 18-16 NRL round 14 loss to South Sydney. "He went out a couple of nights after Origin and played the house down for the Titans," Miles said. "Let's just hope he can repeat that performance because that is what we are expecting of him." There was speculation Maroons lock Josh McGuire may be injected into the starting front row to add mongrel but Queensland coach Kevin Walters defended Wallace's series-opening effort. "There was some criticism around Jarrod Wallace which I thought was unfair," Walters said. "Sure, he only had the five carries and needs to do more there but defensively I thought he was really good." 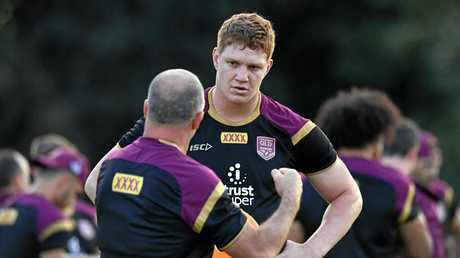 The Maroons are sweating on Wallace's front-row partner, fiery prop Dylan Napa (ankle), who must prove his fitness by Wednesday. 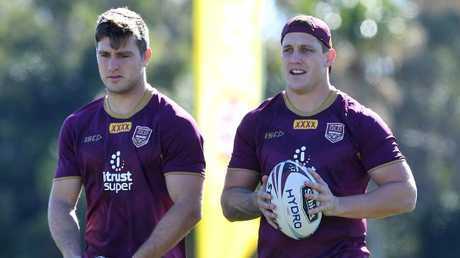 "Obviously we would miss his aggression and you want to throw a little bit of fear into NSW forward pack," Miles said of the prospect of losing Napa. "But let's just be on the positive side and say we are very hopeful he can pass that test and be in the team."